Is it full or provisional? Please add as many fields as required using the plus symbol at the end of the salary field to add older positions held. Have you attended any relevant training courses in the last three years? This section will provide us with specific information about your suitability for the post. It is very important that you give us the information which outlines your abilities, skills, knowledge, qualifications and experience. Please provide the name and address of 2 references. One must be from your current or last employer, the other should be a professional referee. Alternatively, if you are unable to provide a second professional referee please provide the name and address of a personal referee. Please do not use family members as a referee. You are required to declare any convictions, cautions, and offences bound-over which are covered by the Rehabilitation of offenders Act 1974 (Exceptions) Order 1975. A criminal conviction will not necessarily lead to a rejection of your application, however, failure to disclose any conviction may lead to either your application being rejected or if you are successful, your employment being terminated. In addition to supplying the above information you will be required to apply for a Disclosure and Barring Service (DBS) check before we can start your employment. I hereby declare that the information detailed above is accurate to the best of my knowledge. 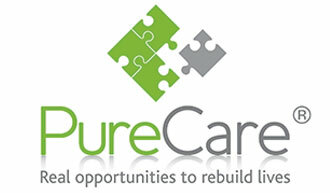 PureCare strives to ensure equality of opportunities in its employment policies. Monitoring recruitment practice is an effective way of reaching these goals, by identifying areas of under representation, and by taking positive action. Your co-operation in completing this form would be greatly appreciated but we must stress that you are under no obligation to answer any of these questions. However, we would like to assure you that information given will be treated in strictest confidence and will not in any way affect your application. If you have a disability, would you require special adaptation and/or equipment to take up your appointment? How did you hear about this vacancy?